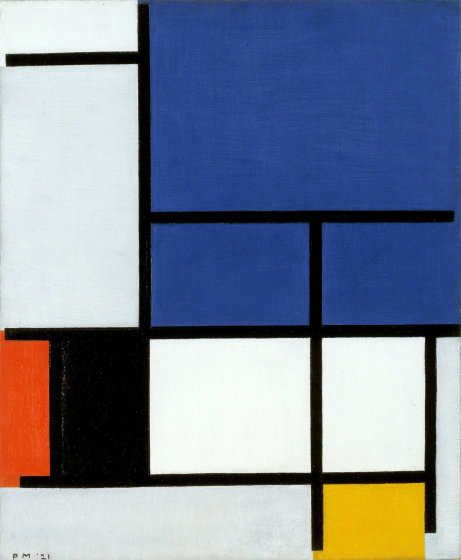 Piet Mondrian referred to his artistic practice of abstraction as neoplasticism, or new structuring. 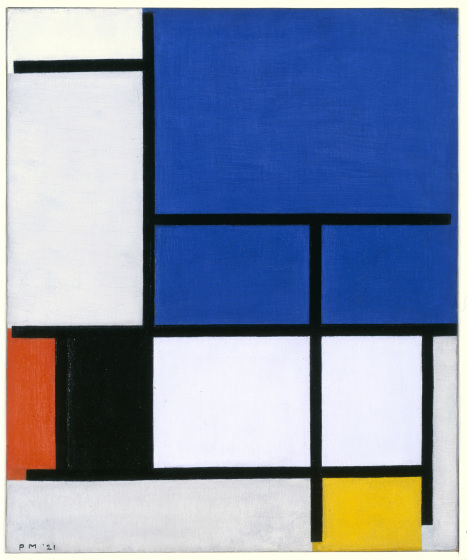 In this neoplastic work, painting is reduced to strict rectangular lanes of pure primary colors (red, blue, and yellow) and non-colors (white, black, and gray), with black vertical and horizontal lines. 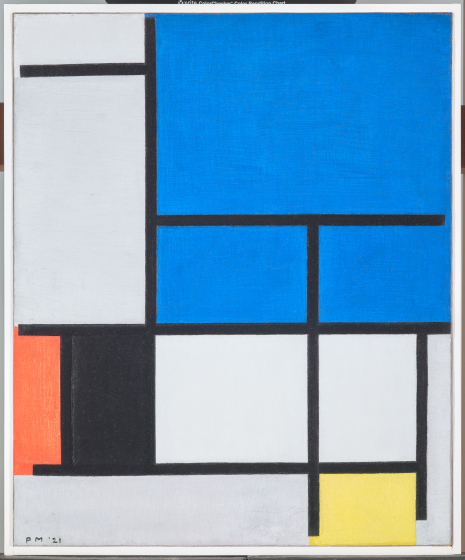 Mondrian deliberated about every square inch of his canvas. 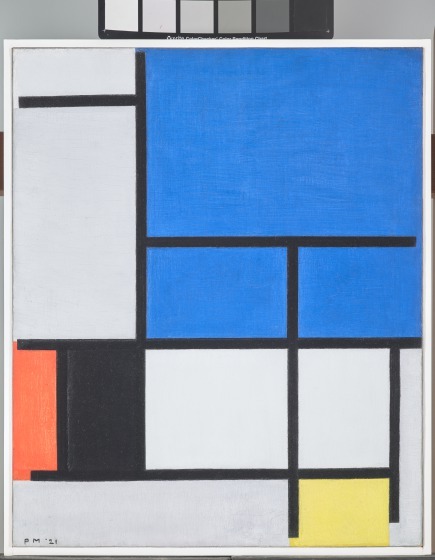 He rethought, reworked, and refined. 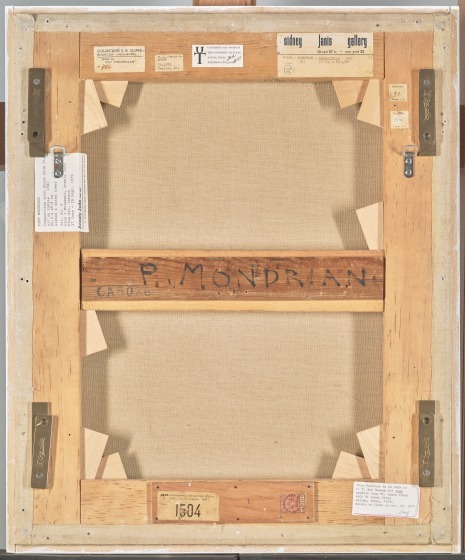 In the finished work, there is no center. There is no foreground and background. Planes of color are strong and pure. They coexist harmoniously and without hierarchy. A neoplastic work does not describe the fluctuations of natural appearances. It reveals instead the underlying, essential order of nature and is capable of reshaping not only art but also the way we live. 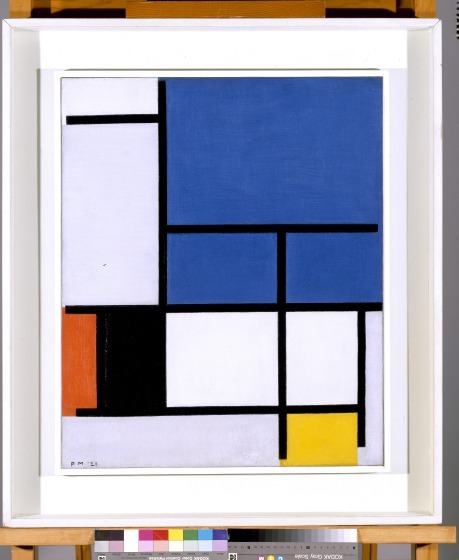 Use this simple website to make your own digital image inspired by Mondrian.